This particular section of the website contains a selection of photographs and information giving details relating to some of the lesser known types of vehicles that W & J Riding operated in their large fleet over the years. 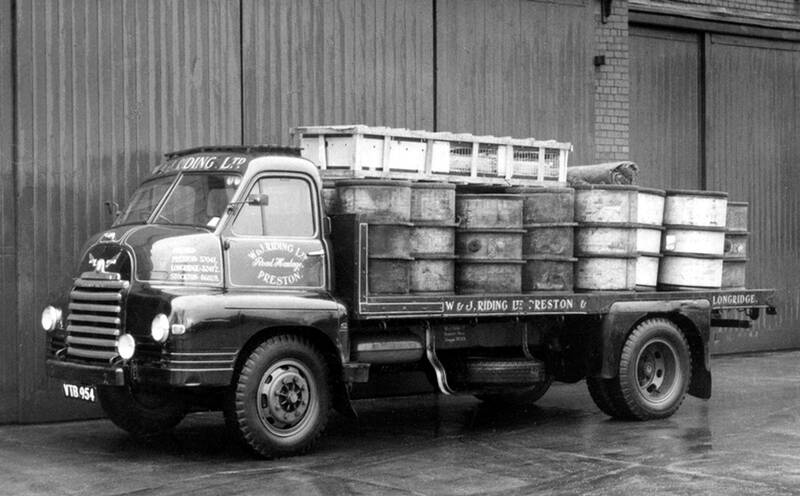 'S' Type Bedford four wheeler Reg No VTB 954 was the vehicle used by Leyland for the original fitment of a Leyland Comet 90 engine into a Bedford. After they had done all the testing of the conversion Riding's bought it off Leyland Motors in 1955. 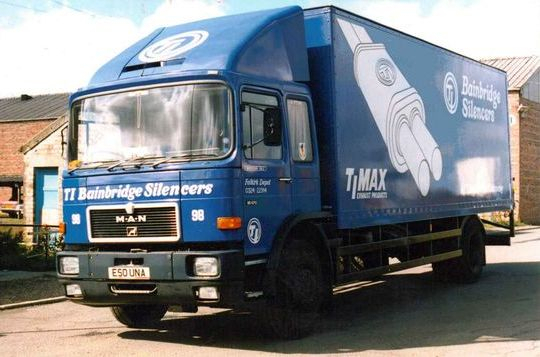 "Jim Lomas (Snr) drove this vehicle delivering small loads around the Lancashire and Cheshire areas, with the engine being the best part of the lorry, it would go like the clappers". 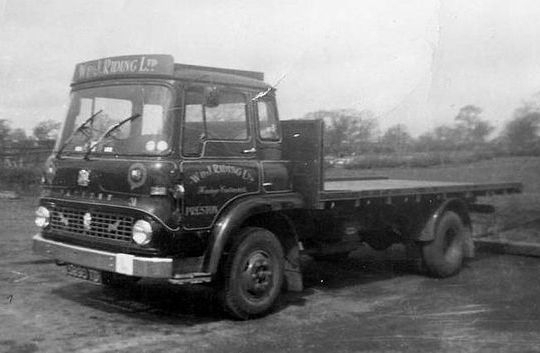 A rare shot of 1962 registered Bedford TK four wheeler Reg No 5899 TB which was driven from new by Jack Robinson who then passed it on to the late Jimmy Lomas. Used mainly on local work around the Lancashire area it was driven in it's later days by long time serving Joe Masterson. Joe retired in 2009 by which time the original W & J Riding had become part of the Transport Development Group (TDG). Leyland Boxer 4x2 tractor unit Reg No LEM 288M Fleet No 94 ' Samson' was first registered on the 7th of February 1972 to another TDG group company by the name of Wilson Duke Ltd of Bootle. 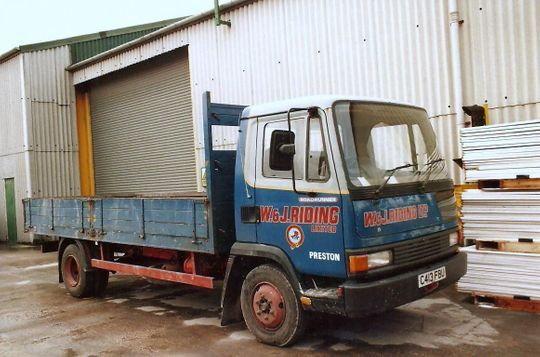 Purchased by Riding's when six years old on the 22nd of May 1978, at a cost of £400 plus vat, it was fitted with a hydraulic lifting fifth wheel and was only ever used internally within the depot at Longridge. Tom Riding thought it would be a useful tool for bringing in empty trailers to the servicing bay, which it was, except for a problem which arose when a mechanic tried to get into the garage when coupled to a tall curtainsider. Unfortunately he had the lifting plate in the fully raised position resulting in the trailer hitting the rsj holding the roof up. On the 30th of September 1980 LEM 288M was finally sold to local dealer Syd Hartley for £75 plus vat. Leyland Clydesdale four wheeler Reg No WTB 250M Fleet No 3 'Daring' was the first of the three brand new Leyland Bathgate built super Clydesdale's that Riding's operated between May 1974 and February 1981. 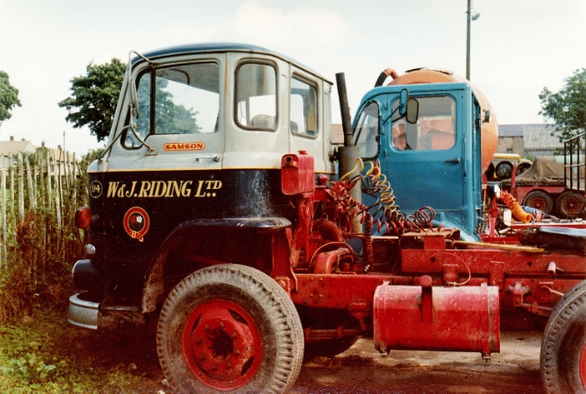 "These were lighter than the previous Albion tilt cab model but I never liked them as much. Driven from new by the late Harold Cushing it was used for quite a while on the phosgene job from Burn Naze carrying gas cylinders on a specially built frame. It was eventually taken off this job which became much larger and needed an articulated outfit to cater for the increased business. After six years service i sold the vehicle to a Mr Graham Harrison of Much Hoole Nr Preston on the 17th of June 1980 for £2,400 plus vat. 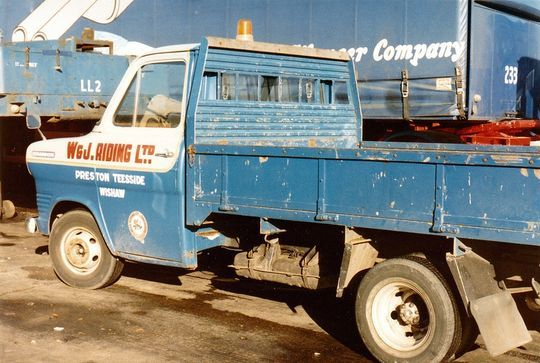 Notice the original bumper bar has been replaced by a chrome plated one from one of our Atkinson's." 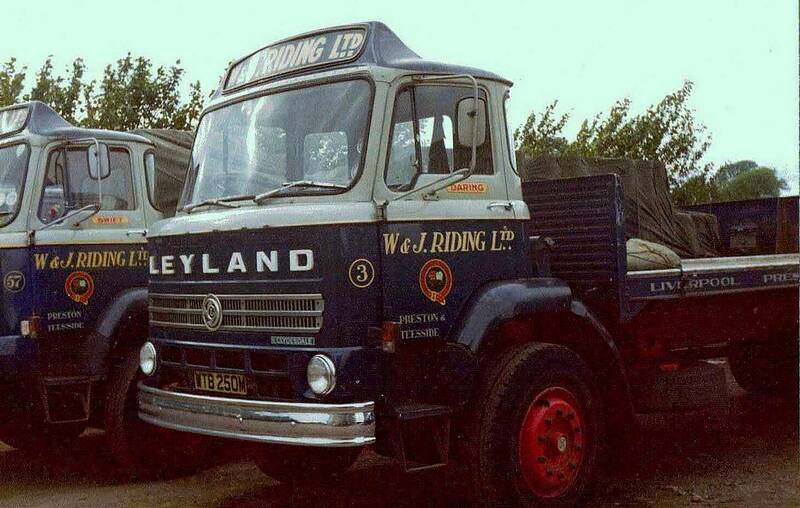 The second Leyland Clydesdale four wheeler to join the fleet was Reg No JCK 160N Fleet No 57 'Swift' which was registered new by Riding's on the 1st of February 1975 at a cost of £5,233 plus vat. Driven from new by Nigel Double it was fitted with a 401 engine in line with a six speed gearbox and Albion hub reduction axle. After just over five years service with the company it was sold on the 27th of August 1980 to local dealer Mr Syd Hartley for £1,600 plus vat. 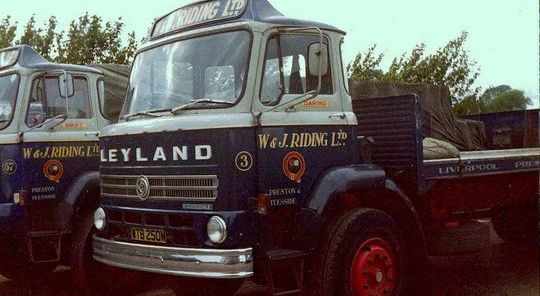 Leyland Clydesdale four wheeler Reg No PHG 280P Fleet No 23 'Vivacious', the third and last Clydesdale to join the fleet, was fitted with a 401 engine in line with a six speed gearbox and Albion hub reduction axle. Driven from new by David Ireland it is seen parked in Longridge depot loaded with a conveyor belt from the BTR works at Leyland. Registered new on the 1st of February 1976, at a cost of £6,654 plus vat, this was the very last vehicle that Riding's purchased from the Leyland Company. After five years service it was sold on the 23rd of February 1981 to a Mr John McCallum of Forth Lanarkshire for £2,500 plus vat. Ford Transit Mk I pick up Reg No XFM 517R 'Samson' was originally registered new on the 5th of July 1977. Purchased second hand from Riding's tyre supplier, ATS in Darwen at a cost of £675 plus vat, it was used extensively until March 1986 when it was finally withdrawn and scrapped. 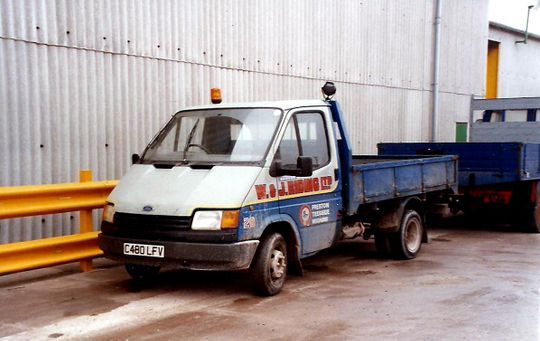 Ford Transit Mk III pick up Reg No C480 LFV Fleet No 28 'Samson' was registered new on the 18th of April 1986. Seen here in the depot at Longridge on the 13th of February 1993, according to the DVLA, this vehicle is somewhere out there still on the road today at 31 years old. 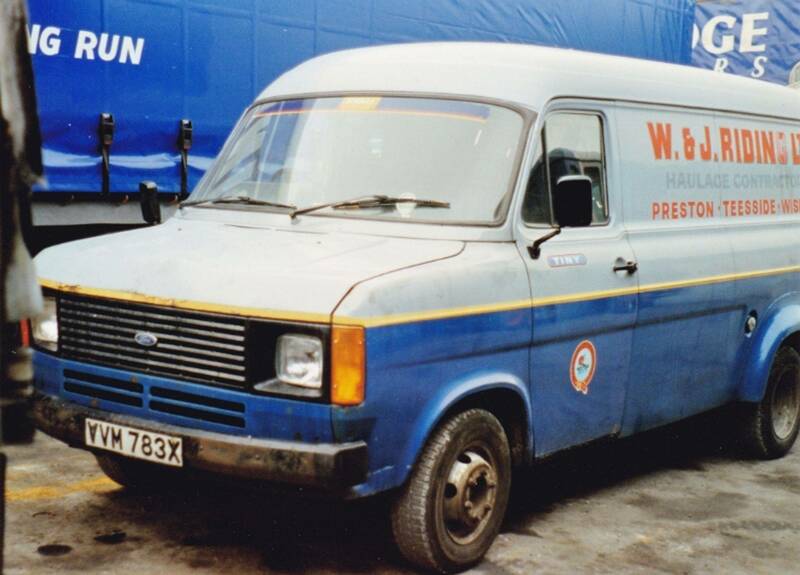 Ford Transit Mk II 35 cwt panel van Reg No VVM 783X Fleet No 42 'Tiny'. Originally registered new on the 1st of April 1982 Tom Riding bought it when three years old on the 22nd July 1985 from BGF Contracts of Darwen for £1,350 plus vat. We did a lot of work for H J Heinz over at Wigan at the time and had a shunt vehicle based there. 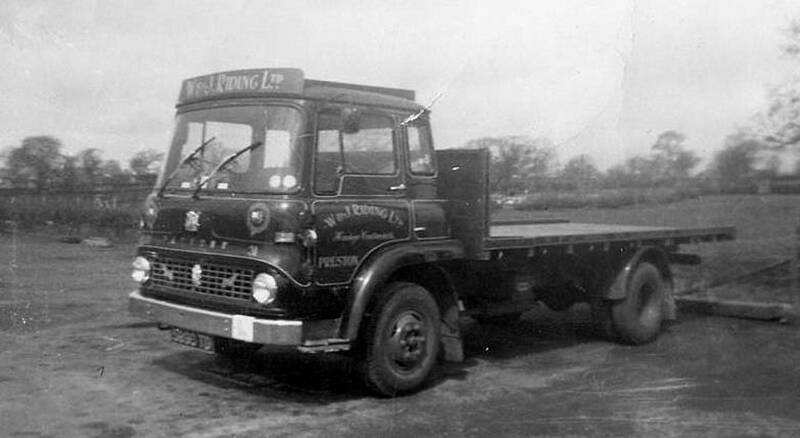 The shunter at the time was Mick Davis and this particular van was used as his transport from Longridge to and from Wigan and was also used to carry spare sheets and the special top sheets that we used on the Heinz loads. 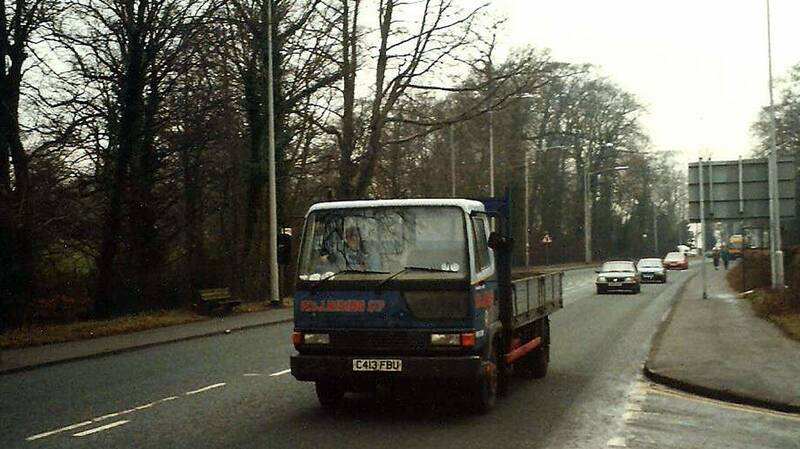 VVM 783X was finally sold on to Mr Clive Graham of Whittingham in October 1991 for £200 plus vat. Registered new on the 1st of July 1986 Leyland Roadrunner four wheeler drop-side flat Reg No C413 FBU Fleet No 108, aptly named 'Roadrunner', was a handy little machine for dodging around with up to 4 tons payload. 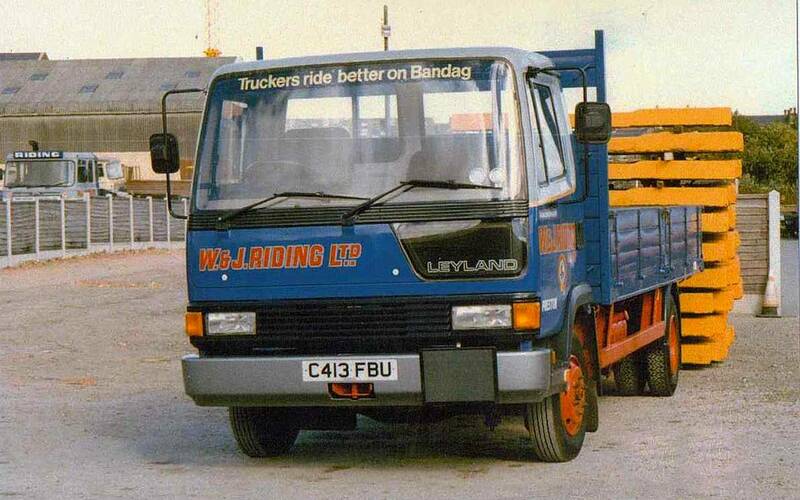 Another yard shot of Leyland Roadrunner four wheeler drop-side flat Reg No C413 FBU Fleet No 108. Named 'Roadrunner' it was registered new on the 1st of July 1986 and is seen here in the depot at Longridge in 1995 after being in service for nine years. 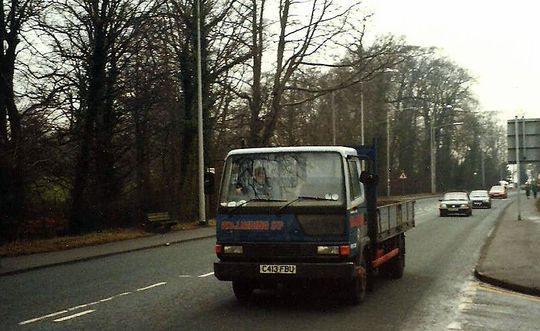 An on the road shot of Leyland Roadrunner four wheeler Reg No C413 FBU Fleet No 108 'Roadrunner'. It is pictured here on the A6 heading towards Preston. M.A.N. 15.170 four wheeler box van Reg No E50 UNA Fleet No 98 'Western Isle' was registered new by Riding's on the 17th of August 1987. Out-based at Falkirk at the Timax distribution depot it was used on the Timax Bainbridge exhaust contract delivering exhaust systems to retailers across Scotland. After nine years service E50 UNA was withdrawn and scrapped in November 1996.